If you are experiencing something else, contact Customer Support. 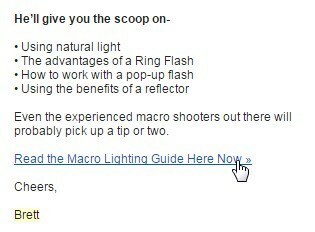 I can't access the guide from the link in my email. I’m getting an error message. 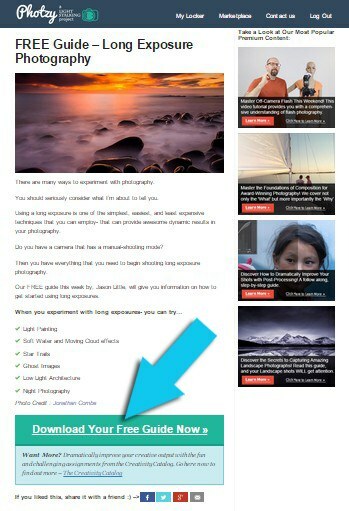 When you click on the link to Photzy from any of our emails, it should take you to a download page of that specific guide. If you are logged in, you will see the Download button when you scroll down to the bottom of the page. If you are not logged in, then you will be prompted to login. For those who do not have an account yet, there is also an option to sign up. Once you login, you should be able to download the guide. But, if when you're trying to access the link and you get an error 404 message, it means that you are trying to access a broken link. 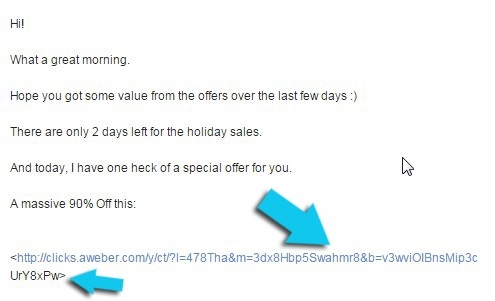 We triple-check all our links before sending out the emails to make sure they are working fine. When you receive an error message like this, it is usually because your email system is using text format instead of HTML. It should still work with plain text or Rich Text format but there are email systems that break the link in the process. In this example, the subscriber is using Rich Text format instead of HTML. Notice that the end part of the web address was separated from the main link. Clickable links are usually in blue text. The broken text is no longer in blue indicating that it is no longer part of the link while the main text remains clickable. This will result in an error 404 message. To solve this, simply copy the full URL including the cut portion. Do not include the < > symbols at the start and finish of the address. 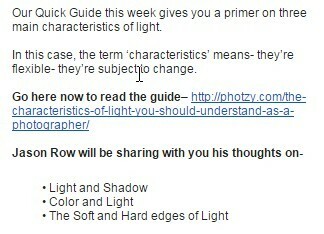 Just highlight the text, right click, and select Copy. Paste the URL into your browser address bar. Make sure there are no spaces. You need to make sure you are logged in before you are able to access the guides. If you are unable to log into your Locker, try clearing your browser cache as a quick fix. This solves most internet related problems. If you’re not sure how to do that, follow instructions on this page. If you need to reset your password, follow the instructions in this link. 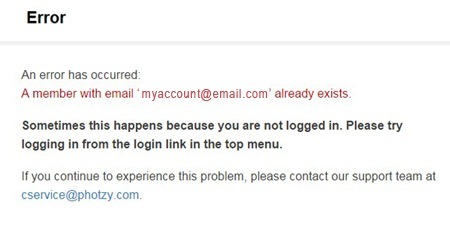 It is very likely that you accidentally accessed the Sign Up page instead of the Login page. Try logging in using this link instead. All guides are found in the Digital Locker which you can access by simply logging into Photzy. 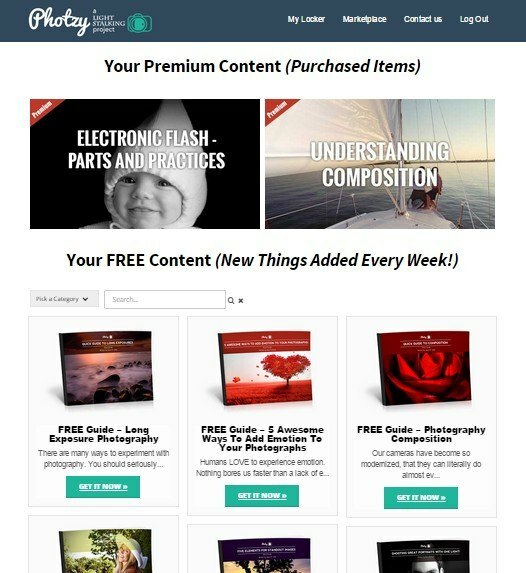 The Digital Locker has two areas: the premium section which contains your purchased guides, and the free section which contains the free guides. If you are looking for a guide you purchased, you should immediately see it in the premium section. If it is not there, contact Customer Support. If you are looking for a free guide, you may use the Category picker in the free section to search for your guide. I can access the download page but the guide doesn’t download properly. Did it work? 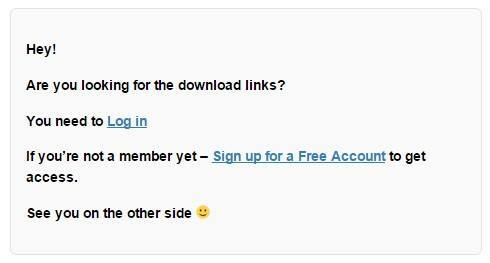 If it did, it may mean that there is a problem with the download page. Contact Customer support. If it didn't, it may be a problem with your browser. Performing the troubleshooting steps on this page usually solves the problem. Note: If you have downloaded Lightroom Presets or a product bundle but are unable to use it, make sure it is unzipped first. Visit this page for instructions on how to install Lightroom Presets downloaded from Photzy.